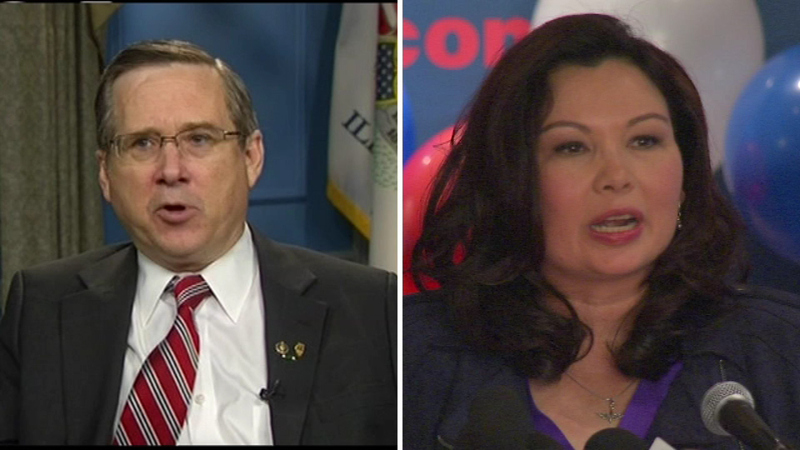 CHICAGO (WLS) -- As Illinois Congresswoman Tammy Duckworth gets ready to challenge Mark Kirk for his seat in the Senate, she's already winning when it comes to fundraising. New figures show the Democrat has outraised Sen. Kirk by some $400,000 since the summer. The race for Kirk's seat in November 2016 is expected to be one of the tightest contests in the country.